Child & Family’s Vice President of Institutional Advancement, Keith Tavares, agrees, adding, “Whenever you put the City of Newport together with fashion and style in order to create a social event to benefit families in need, the outcome is bound to be a big success.” For tickets and information, call 401-848-4150 or visit www.childandfamilyri.com. Local retailers are toasting the event by hosting Style Night Newport on Friday, June 29th (5-8pm) along Bellevue Avenue. Shoppers check in at International Tennis Hall of Fame for a map and get the 411 on special offers (many boutiques will be offering discounts/promotions and refreshments!). The Hotel Viking is the last stop on the fashion trek where shoppers can unwind with refreshments and enter to win Au Courant tickets. Click MORE below for a list of participating retailers and designers. The sun’s scheduled to be stunning, the shops are ready to shine and Newport is open for business. 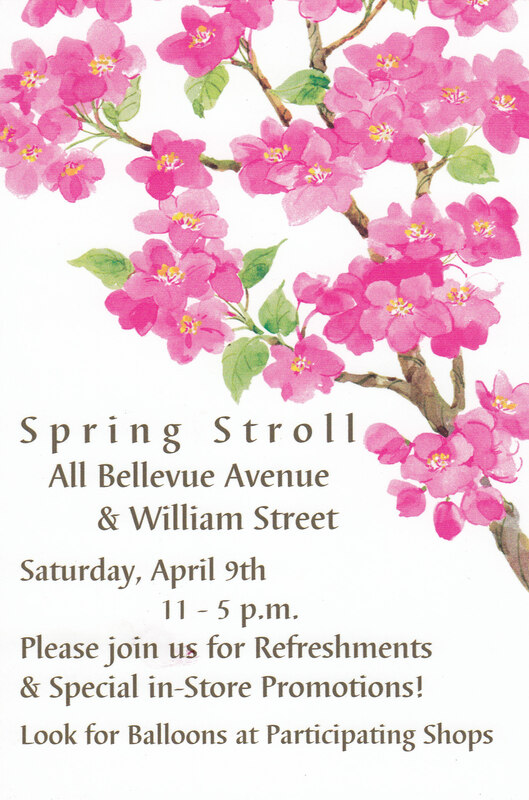 Tomorrow’s Spring Stroll, taking place along Bellevue Avenue and William Street, welcomes the season with grand openings, in-store promotions, refreshments and nibbles from 11 a.m. to 5 p.m. Lisa Sarro Fitzpatrick, co-owner of Wish, the much-loved upscale consignment boutique, says the brand new William Street location is stunning and stocked with designer duds and fabulous shoes. Marcela Calvet’s eponymous luxe handbag boutique will officially open its doors at 59 Bellevue (here’s the story I broke on her arrival), and while you’re down in that end of the neighborhood, be sure to stop in the gourmet trio of La Maison de Coco, Le Petit Gourmet and the Newport Wine Cellar. On the opposite end of Bellevue, but sure to pop by Sequin and the newly opened Sara Campbell (I got the scoop first on her foray into Newport-here’s the skinny), Twig, and across Memorial Boulevard, the shop s on the Casino Block are ready to rock. Papers and Lulubelle’s will be welcoming strollers, as will J. McLaughlin, which is hosting a Sip & Shop event to benefit the American Cancer Society (15% of your purchase will be donated to the ACS). Denim doyenne Laura Jean will be serving refreshments and offering free chair massages by massage therapist Julie Basil Pierce, and The Linen Shop has a great sale and fresh linens for spring. Head down William Street where you’ll find the aforementioned Wish, plus It’s My Party Bake Shoppe and the fabulous Rib & Rhein. At Wag Nation, your fashionable four-legged friends will be doted over and as I suspect, showered with treats. Look for the balloons for shops participating in the stroll. Okay, on Planet Retail it’s the end of summer, even if we just turned our calendars over to August, but the truth is, we’re still a full eight weeks away from the autumn equinox. 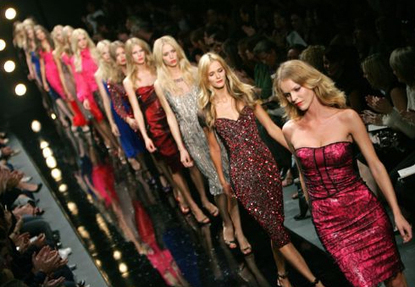 So, what does that mean to pedestrian, fashion forward deal seekers like ourselves? Bargains. All around town. From the well-heeled to tiny tikes, discounts are a plenty, so let’s get started…. 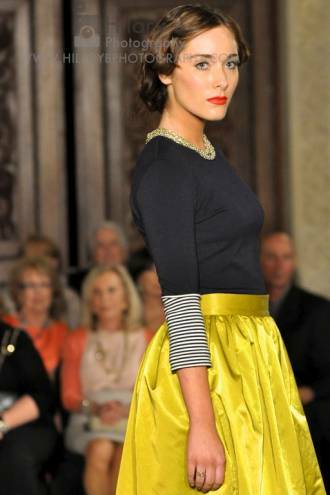 Isoude on Bellevue Avenue is having a rare, 30% discount on the spring Ready to Wear Collection. The 2010 collection, by Jamestown-based designer Katie Brierley, is marked by soft, feminine silhouettes, luxe fabrics and gentles hues, all promising timeless appeal. Find jackets, cocktail dress, blouses and pants marked down. Closer to the Tennis Hall of Fame, Laura Jean Denim’s summer sale rack is growing by the day with AG, JBrand, Chip & Pepper, Joe’s Jeans, Hudson’s and many others; sizes 24-32, all under $100. Down on Thames Street, ‘lil fashionistas can get their fill at the Groovy Gator, where all summer merchandise is marked down 20-50%. For casual duds, today is the last day of the massive Life is Good Warehouse Sale at the Newport Harbor Hotel (til 10 p.m.) which has a ton of long and short sleeve t-shirts, flannel lounge pants and comfortable staples for men, women and children. And up in Portsmouth, Stalise has tons of summer dress, pants, jeans and tops marked 30% off, like that silk Beth Bowley dress I spotted last week that can be worn all-year long. 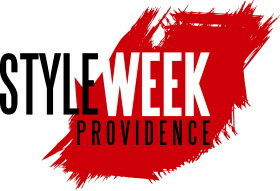 Much to the delight of Ocean State fashionistas and beyond, the inaugural StyleWeek Providence kicked off this past weekend welcoming seven days of designer shows, installations and après-show soireés hosted at chic venues throughout the capital city. Highlighting the work of 16 designers, StyleWeek is drawing hundreds of buyers, stylists, fashion writers, fellow designers and fans since Sunday’s opening night shows which featured a collection by Karan Sabag paired with shoes by Goka Design as well as Selah D’or by Boston-based David Chum (who grew up in nearby Fall River, Massachusetts). Goka’s Brazilian-born designer, Alessandra Gold, now operates from both her Rhode Island and Miami-based offices and studios, and was known in Newport for a boutique she opened on Thames Street (her shoes are still carried locally at Laura Jean on Bellevue Avenue). 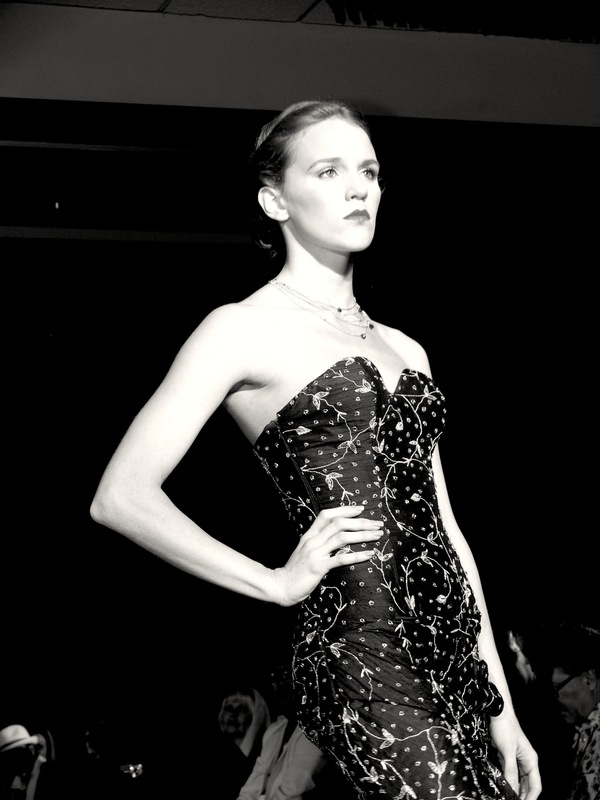 CLICK HERE to see images from Sabag and Chum; photos of collections will be added as StyleWeek continues. Photos by Susan Duca. Andrea Valentini (another RISD alum); luxury menswear by Jeff Lahens; as seen on Lifetime’s Project Runway’s season seven Maya Luz; Boston native Michael De Paulo; Providence-based Jessica Abernethy and for the much-anticipated finale, the “Ingenue” runway show by Woonsocket native Jonathan Joseph Peters, best known for his appearance of the most recent season of Project Runway. Other events throughout the week include an outdoor concert at Hotel Providence with jazz darlings Sit Down Baby! on June 9th at 5:30 p.m., the Waterplace Park Concert Series featuring Fanfarlo on June 11th at 7:30 p.m., and an all-day arts festival running the entire length of Westminster Street on Saturday, June 12th. Looks like everyone survived the “snowpocalypse” that arrived yesterday! With round-the-clock plowing and some old-fashioned elbow grease, a majority of the retail areas around Bristol and Newport counties will be opening at regular times. Snow or no snow, Kristina Richards Studio in Newport’s Washington Square kicks off a big sale today featuring JBrand and other denim for $50, cashmere for $75, Vix Swimwear for $50 (hello, Florida-bound), Free People for $25 and other stylish finds marked down to a mere $20, $30 and $40. This means you’ll be finding some of the hottest lines at up to 75% off! Sale starts today and lasts through Monday. The Linen Shop is hosting their White Sale, where crisp white linens including sheet sets, pillows and shams, bath sets and towels are marked down significantly. Event highlights this weekend include Friday evening’s Beatlemania concert, Saturday’s 15th Annual Chili Cook-Off, a city-wide Scavenger Hunt (believe it or not, very competitive and a great way to get to know the city), and by nightfall, the comedy show at the Hotel Viking featuring Comedy Central darlings Tony V. and Jimmy Dunn. For the first time ever, Newport International Polo will be hosting a match on Middletown’s Second Beach (Sat. and Sun., free). 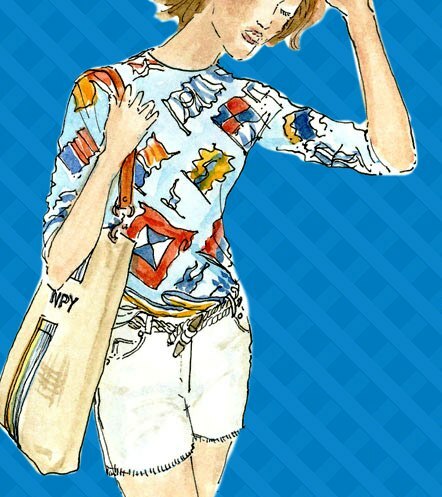 What to wear to an oceanside polo match? Dress for function more than fashion. You would think it goes without saying, but no heels (spotted a handful of ladies with heels or heeled boots at the Polar Bear Plunge– it wasn’t working). And at some point during the festival, check out the WINEterfest Wine Tasting & Outside Ice Wine Bar at Newport Vineyards, where you’ll find taste various vineyard vintages as well as cheeses, chocolates and spreadable edibles offered from local gourmet purveyors. For those who don’t have the luxury of jetting off to warmer temps right now, you can get a taste of island living at Sunday night’s Tropical Drink Contest at the Gas Lamp Grille. Parents should make it a point to bring their little ones to Saturday’s Toe Jam Puppet Band concert and/or Sunday and Monday’s Children’s Fair at the Newport Marriott. 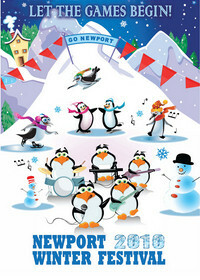 The Stylephile will be highlighting events throughout the festival, but you should head to the Newport & Bristol Counties Convention & Visitor’s Bureau (33 America’s Cup Avenue, Newport) for a brochure with all the events or check out the day-by-day calendar at www.NewportWinterFestival.com. This weekend also kicks off the 2010 Winter Olympic Games in Vancouver and the American athletes will be sporting some fashionable duds for the opening ceremony by Ralph Lauren (the shawl cardigan and opening ceremonies knit hat are must-haves). Tune in to NBC-10 for all the snowboarding, skiing, ice skating and winter games you can handle (set your DVRs now so you don’t miss a beat while at the Newport Winter Festival). Retailers are taking the guesswork out of Valentine’s Day gifting with great deals across Newport and Bristol Counties. And it’s just as important to treat yourself with something special, which is nearly impossible to avoid if you stop by Rib & Rhein. One of Newport’s chicest shops, Rib & Rhein’s global collection is currently stocked with Scottish cashmere sweaters and English dress shirts for men and women, European sports jackets for men, warm winter coats, model fabric short and long t-shirts for women, colorful wraps and kaftans from India, Asian dresses, plus jewelery and home accessories from both India and Africa. 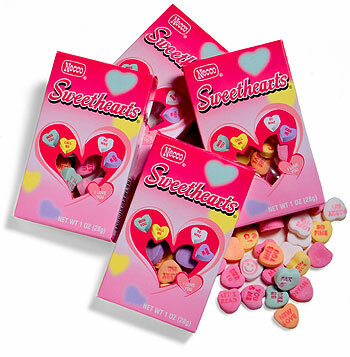 There’s a good batch of items already marked down, but now through Valentine’s Day, mention “Cupid” and receive an additional 20% off your total purchase! J.H. Breakell on Newport’s Spring Street is in the midst of their Annual Winter Sale, where now through February 10th, you’ll save 20% on all original design jewelry in sterling silver and 14k gold. Middletown’s beloved Beach House is giving all their shoppers a Valentine to remember offe ring 20% off store-wide through February 15th! Stop by the Design Studio next door where furnishings will be marked down 25%. In Tiverton, find select handmade beaded jewelry featuring colored gold and candy-colored gem stones by nationally-recognized jeweler Tiffany Peay marked at 25% off February 10th through 14th. This doesn’t happen often, so it’s worth checking out her Tiverton Four Corners studio. Special sale hours: Feb. 10-13 from 10 a.m. to 5 p.m.; Feb. 14 12 p.m. through 5 p.m.
On Saturday afternoon, Stalise, in Portsmouth’s Clock Tower Square, is hosting Mary Ann and Martha designs, a unique collection of sterling silver or 14k gold fill jewelry, each individually designed and crafted, adorned with crystals, vintage lucite and an array of semi-precious stones. Get inspired with the new season looks with Stalise’s selection of brand new spring merchandise–mention you’re a Facebook friend and receive 10% off new arrivals-one day only!